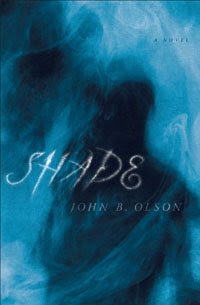 This month we're highlighting John Olson's newest title, Shade, billed as a "vampire-less vampire novel." It's also known in the Christian publishing industry as the story that was so scary it made a certain author sleep with the lights on and an agent swear he wouldn't touch it with a 60-foot pole. In other words, legendary, even before it came to print. Heh. You have to love a story like that, just on principle. So, God opened doors and finally, John gets to have his "baby" in print. Isn't it beautiful?? I just love this cover. Of course, I may be a wee bit prejudiced because I consider John such a good friend, but I'm thrilled that this has happened for him. I should probably call this the shameless gushing post. I'll post a review tomorrow--being sick yet again has slowed my response time on tour--but today I'd like to highlight John himself. 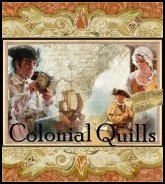 Since coming back to writing fiction almost seven years ago, I've been impressed with the unselfish commitment Christian writing professionals have overall to helping those who are yet unpublished ... their kindness to those of us whose writing really stank. (Yeah, I know ... now it only sorta stinks??) But a handful of authors, editors, and agents stand out above the others, and John is one of those. As one of my Genesis judges two years ago, I think he was the first to introduce me to the concept of being pickier in his critique because he actually LIKES my work, and is pushing harder to see me get better. Okay, yeah--that seems self-evident. But so many times as writers we tend to receive critiques as a negative force, and focus on advice given as "what the critiquer didn't like." His workshop at the recent ACFW conference was also very challenging--and affirming--and just what I needed. Tomorrow: a review of Shade, and a note about John's other stories.